I really like pesto sauce and like anything, homemade is the best. 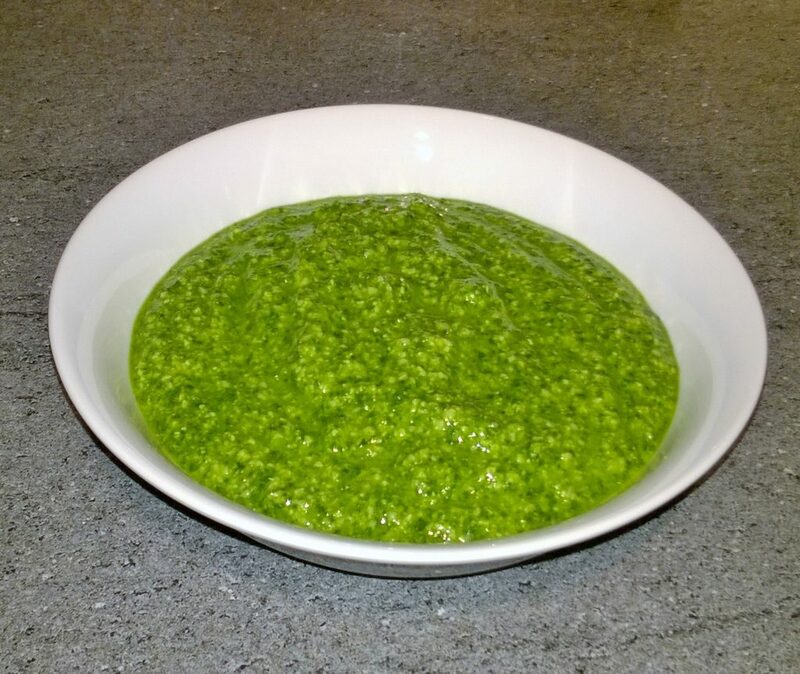 You get an intense bright colour green that you just do not get from shop bought pesto; you can really play around with different flavours and experiment. 1 Put the basil, rocket, parmesan, pine nuts, garlic and black pepper in a food processor and wiz on the low setting for 10 seconds. Then scrape down all the ingredients from the inside wall of the processor bowl. 2 Then turn the processor on high after 5-10 seconds then slowly pour the oil though the top the processor. 3 When you have poured all the oil in wiz for another 10 seconds, then mix and wiz for another 10 seconds. 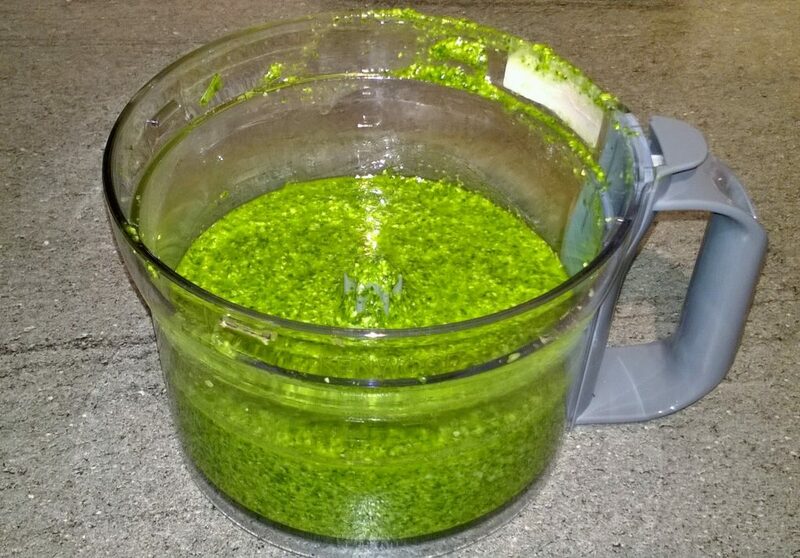 4 Pour equal amounts of the pesto into 4 small containers. 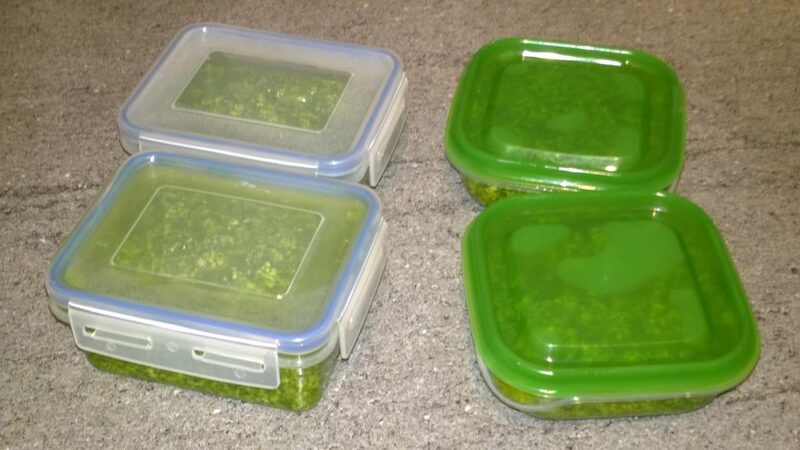 5 Store the pesto in the freezer until it is needed for up to 6 months. Defrost the pesto thoroughly before use. Tip: This pesto recipe can be adjusted, you could use just basil instead of rocket, or coriander or spinach instead, it totally up to you. You could also leave out the vegan parmesan cheese and if you don’t like pine nuts you could use peanuts for a nutty flavour or hazelnuts or cashews or both for a more creamer texture. With the health benefits of these ingredients, all together in a pesto sauce, you see why the Mediterranean diet is one of the healthiest in the world.